﻿ Jardel: "If Ronaldo played for Barcelona, he would be the best player in the World"
08.01.2012 » Jardel: "Ronaldo in Barcelona would be the best player in the World"
The former F.C. Porto idol, Mário Jardel, has been far from the big stages for a long time but he still wanted to give voice to his opinion regarding the debate about Cristiano Ronaldo and Messi. Jardel got stated saying that if Ronaldo was a Barcelona player, then there would be a consensus on him being the best player in the World. 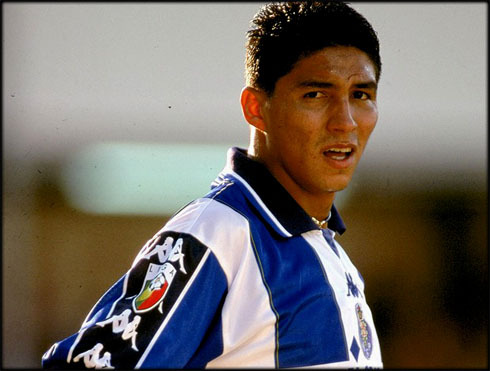 The Brazilian international striker, Mário Jardel, a two times Golden Boot/Shoe winner (1998-99 and 2001-02), had his glory years in the late 90's, while playing for F.C. Porto. Just a few days ago, when granting an interview to the Portuguese newspaper "Record", "Super Mário" assured that if Cristiano Ronaldo played for Barcelona, then Lionel Messi wouldn't stand a chance against the Portuguese player in the fight for the best player of the world award. FIFA's ceremony regarding the Balon d'Or winner, will take place this Monday (09-01-2012) in Zurich, but there's very little hope for those who believe on Ronaldo's chances, as everything indicates that Lionel Messi will win the award. The now 38-years old Jardel, might be an unknown name for those who don't follow football for a longer period than 10 years, but he surelly caused an impression in the end of the 90's, when wearing the F.C. 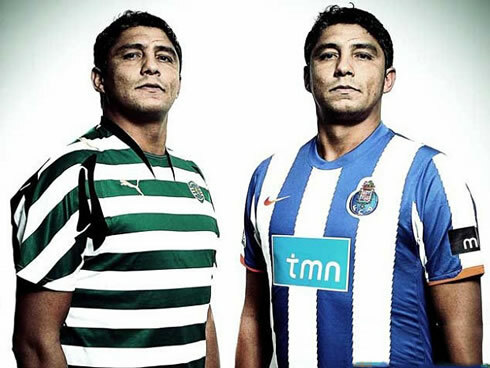 Porto jersey. Between 1996 and 2000, Jardel had 169 appearences for the "Dragões", scoring 166 goals. In that same period and exclusively in European competitions, the Brazilian striker scored for 19 times out of 32 games. Jardel had an impressive long career as he played for 20 different teams ever since he became a professional football player in 1989. In 2002-2003, he represented another strong Portuguese team, Sporting CP and that's where he had the chance to know and play with Cristiano Ronaldo. Mário Jardel: "Back in the days where I played with Cristiano Ronaldo in Sporting, it was still too soon to realize the true potential he had, since he didn't use to play many times. But to see what he accomplished these days makes me happy, because it proves how good the Sporting CP football academy is, since he's the second player coming from there who has been ranked as the best player in the world already. I have to confess that Ronaldo surprised me a lot, not only because he has been giving many joys to the Portuguese people but also because he keeps fighting with Messi every year, for the best player in the World award. When asked to pick his favorite between Cristiano Ronaldo and Lionel Messi, Jardel went with the Portuguese player and he justified his choice. Mário Jardel: "Stats also talk for themselves. Messi is playing in a great team, as the titles his club wins surely help him a lot too, but if I was given the chance, I would want them both at my team when I start coaching! That would probably be any coach's wish. 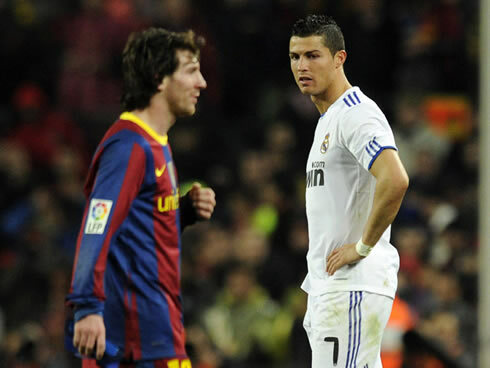 But it's true that they are different, since Messi is more technicist, a short-dribbling kind of player, while Cristiano Ronaldo prefers to do it by running in long strides, since he's faster than the Argentinian and he also plays better with his head", remarked Jardel when comparing Messi and Ronaldo. Jardel then kept on and pointed out the reason why he believes that Cristiano Ronaldo isn't unanimously regarded as the best player in the World, above Messi or any other player: "Cristiano Ronaldo's bad fortune is that Lionel Messi is playing in a team that is winning everything and that allows him to stand out from the rest. Speaking honestly, if we could swap roles and put Cristiano Ronaldo playing for Barcelona, I'm sure he would be the best player in the World", noted categorically the Brazilian striker. Real Madrid next game is against Malaga for the Copa del Rey, in the 10th of January 2012. You can watch Juventus live stream, Real Madrid vs Malaga, as well as Arsenal vs Leeds United and Osasuna vs Barcelona from our football live streams section. Cristiano Ronaldo is expected to be on the line-up against Malaga.